Ask The Trades - wood joining advice? Ask The Trades › DIY Forum › DIY - Carpentry Questions › wood joining advice? I'm not sure what you are trying to make but the joint you plan to use won't really work if all you want to do is join two pieces of 2 x 2 . If you Google scarf joint you will get loads of images of a joint that has been used to join timber for centuries and if you add polyurethane glue and clamp it tightly while it cures you will have a strong joint which doesn't need any extra support. It depends on how elegant you want it to look. If you've got 3.2 metre lengths then when you cut off the little bit to get to your final height, you've got a lot left. Just cut some bits and screw over the joint and into the two tower sections. hi all! 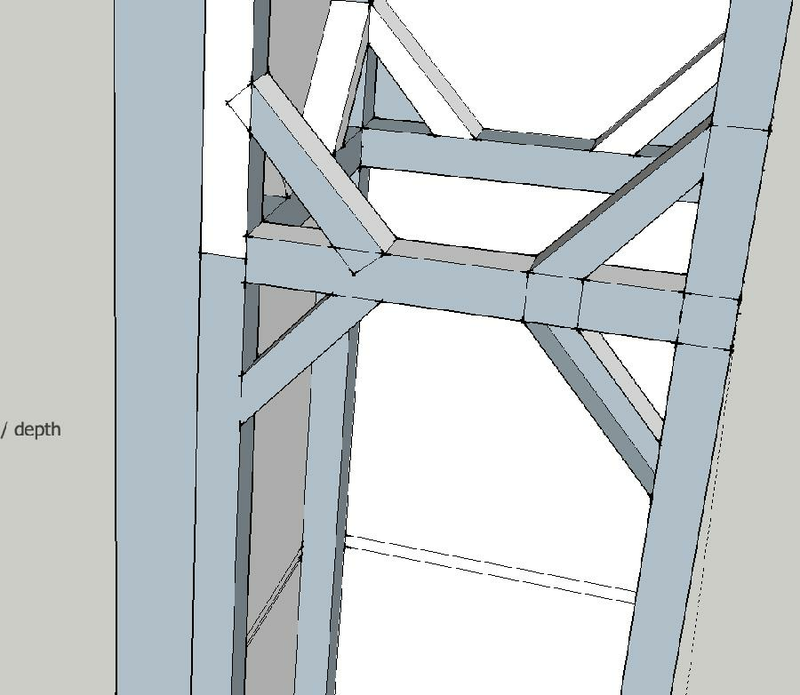 i'm creating a skeleton frame structure for a 3.5meter high tower out of 2 by 2 timber. But unfortunately, the largest size I could source was 3.2 meters, so I'm thinking of joining two frames separately, supported by an angled joint structure I've created in the image. Is there a more simpler way of joining? could I just use a metal L shape bracket instead to keep the wood in place? any advice would be greatly appreciated!